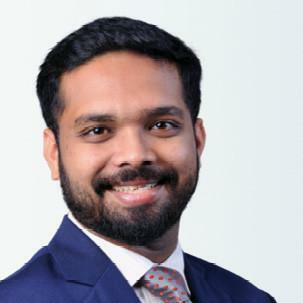 Trilegal Mumbai-based counsel Shaswata Dutta has joined Goldman Sachs as executive director, legal, in its Asia special situations group on Monday (17 September). The special situations group looks into purchasing of distressed assets, and equity and debt investments, for Goldman’s investment funds, in India and across Asia. Dutta had graduated from NUJS Kolkata in 2010 to join J Sagar Associates (JSA). In January 2018, he had joined Trilegal as counsel. It is understood Dutta is reporting directly to the special situations group in Hong Kong, while in India the Goldman Sachs legal team is headed up by former JSA partner Manisha More, who had joined in 2011 as executive director and senior counsel at Goldman Sachs. Trilegal Mumbai partner Karan Singh commented that “we wish him well”, noting that Dutta had also completed a secondment at Goldmans while at Trilegal. "Dutta had graduated from NUJS Kolkata in 2010 'to' join J Sagar Associates (JSA)"
So does this mean all distressed asset related work will now go to Trilegal? Many Congratulations Shaz! Very well deserved! Any idea how much is the salary? If they pay him so much all the Senior VPs will resign enmass. ED outranks VP in Goldman. 1 crore is a given. ED/VP is the most common title in GS and about 35% of their staff are at that position. GS India has at least 2000+ of them (out of 7000+ employees). Nothing fancy, the investment analysts make it to ED in 5 years, support services like law do so in 7-8 years. For support roles salaries are about 30-40 lakhs with 7-11% increment. Most of the many ED legal positions are pretty boring. Just 3 of them in investment banking support. Why use words like support, boring and all? How jealous are you? Ha ha ha! Achha majak kar lete ho bhai! Good luck. You are a smart lawyer. Why are all the Trilegal Counsels jumping ship? maybe they know something you dont? Erm.. that the whole point of asking.. it may have been evidenced from my clever use of a "?" All the best Dutta. well deserved.